Bounty paper towels are advertised as the “quicker picker uppers”. Sometimes advertisers exaggerate their claims, but in the case of Bounty, it’s true. Bounty paper towels work quickly and pick up a spill without a hassle. Paper towels have become a daily staple in most people’s lives. You know they are great for spills, but they are also great for cleaning. This is especially true when you complete a dirty job and just want to throw that towel away. With Bounty paper towels, the quality is great and that means that the paper towel won’t fall apart before you finish using it. Even though this paper towel may cost more than a bargain brand, it is economical because you won’t have to use more than one to complete your task. Proctor and Gamble (P&G) is the corporation who makes Bounty paper towels. This huge corporation makes a number of products that you use every day, including Charmin toilet paper, Bounce fabric softener and Tide detergent. P&G has a great website named P&G Everyday Solutions. This website not only provides you with a ton of information about Proctor and Gamble products but also gives you a direct link to coupons and free samples. By registering your information, you become a member and are eligible to receive coupons and free samples. These change often, so check back with this website every now and then. Just because Bounty paper towels are better than bargain brands doesn’t mean that they should cost you more. Saving money on Bounty paper towels is easy. Obviously, the first place to look for Bounty paper towel coupons or even free samples is the P&G Everyday Solutions website. Another place where Bounty coupons are plentiful is in the Proctor and Gamble monthly coupon booklet that comes with your Sunday newspaper. Every month, P&G puts out a new booklet with a variety of coupons. This is your first source for Bounty paper towel coupons. Another source for Bounty coupons is women’s magazines. There are often a number of coupons advertised here, so keep your eyes open when you are browsing. One not often thought of way to find some Bounty paper towel coupons are coupon exchanges. These can be either online or offline. For instance, check to see if your local library has a coupon exchange area. Coupon exchanges are simple. You give the coupons that you don’t want to use and you take the coupons that you do use. So, for example, if you don’t have a baby you will give all of your Pamper coupons, while someone else without a dog will give all their Alpo coupons. Lately, this idea of exchanging coupons has reached the Internet. There are a number of coupon exchange clubs available. Check your Internet search engine for some choices. Once you find that Bounty paper towel coupon, don’t just run out to the nearest store and buy your towels. Look for an advertised sale. 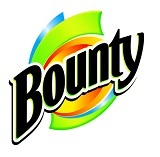 By purchasing your Bounty towels while they are on sale and combining the sale with a manufacturer’s coupon, you will be getting your maximum savings. Don’t forget to check to see what stores are doubling the manufacturer’s coupon. This will save you even more and saving money is what using coupons is all about!